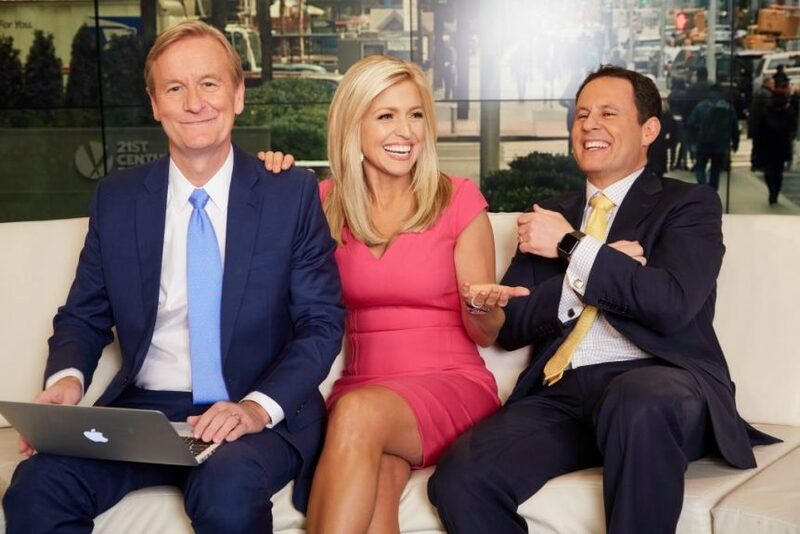 Below is the rest of our Friday conversation with Fox & Friends cohosts Ainsley Earhardt, Steve Doocy and Brian Kilmeade, who talked with us about the Fox & Friends-President Trump dynamic (which The New Yorker’s Jane Mayer coincidentally just wrote about at length), their critics, and what viewers can expect from what’s easily the No. 1 morning show on cable news as we get closer to 2020. To all Democratic politicians reading TVNewser: Earhardt and Doocy say you’re welcome on the program anytime. TVNewser: You have a very high-profile, consistent viewer: The president. How often do you hear from him? And does his feedback impact anything that’s said or talked about on the program? Earhardt: Not for me. We all just try to be genuine and be ourselves; report the news and get the facts. We don’t say certain things based on whether the president is watching or not. We just report the facts and let the audience make up their own mind. Doocy: If the president tweets out something that we’ve said, I generally don’t know about it until after the show. Which means there’s such a burden on us to make sure what we do is accurate, and so that if we say something, it’s right. That’s what you try to do with every show, regardless of who’s watching. Does it impact how you frame stories at all? Kilmeade: It has no impact on how we frame stories, and the way I feel about that is he was a regular contributor. He liked our show. He wanted to contribute but said, “I can’t come in, I’ll call in.” We didn’t have anybody calling in, but he’s Donald Trump and he was responding to issues. I think he realizes that Middle America watches our show—Texas, the South, etc.—and he got himself out of New York. And he senses that maybe our news judgment is what America cares about. So it’s kind of a cross-section. But I always feel like the microscope is on Fox. I always feel the microscope is on what we say, especially because there’s no teleprompters, only for the introductions or for reading a tweet out loud. So, I always have a special responsibility, and I think that it’s pretty clear right now that the news networks are making news regularly. So, the fact the president watches and responds, he also responds to the other networks too. 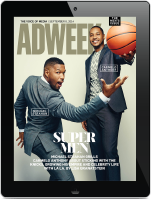 You’ve had segments that have been featured on late-night comedy shows like The Daily Show With Trevor Noah and Last Week Tonight With John Oliver, and have gone viral. Does that annoy you? Do you take it as a compliment? Do you feed off the criticism? Earhardt: I don’t even know when they do it because I’m asleep. I go to bed at 9 every night, so I don’t ever see those shows. But, it doesn’t bother me. We’ve been in the business so long. In terms of something critical of us, we know who we are and we know what we’re doing. I don’t even think about it. Doocy: I don’t hear about it, generally. If something like that goes viral, does it matter to you? Doocy: Look, if it’s a comedy show, they’re under no obligation to be accurate, so they’re looking for a soundbite, oftentimes taken out of context, to make a joke. And so, “funny is funny.” But ultimately, if we’re accurate, we’re accurate and you can’t let the noise bother you. Kilmeade: Sometimes you make a mistake, but other times I feel like it’s taken out of context and that’s a little frustrating. But it’s OK. I just know it’s part of it, and if that’s the most challenging thing to having the best job ever, I’ll take it. It’s good to matter enough to know they’re watching. But if you’re not ready for criticism, you can’t take this job. It’s one of the challenges, but I welcome it because it shows you matter. What would you like Fox & Friends to improve on in 2019? Earhardt: Personally, I can walk away from a show and say: “Gosh, I could have delivered that talking point better; I could have said that in a different way.” It’s just personal growth. As a TV personality, I’m always trying to figure out how to say something in a way where you are informing the audience, and not just assuming that the audience knows the story. Making sure the new information is at the top. Small little things that I’d like to improve. If I do an interview, maybe go back and watch the interview how could I have asked something differently. I have critiques of myself, I don’t critique the show necessarily. It’s more of what Ainsley can do better and what I can work on. Doocy: We set the table for the channel throughout the day. By 9 a.m., it’s always our goal to get people prepared so that they know all the important stuff that’s going on in the world, so that they know they’ve got the facts and they can figure out how they feel about it. I think we do a really good job of that because sometimes after we’re done—and then I’ll tune in in the evenings or late afternoons—they’re still talking about what conversations we started on earlier in the day. S, it’s just the obligation to present as much of the news as we can, and of course, while the time is limited, explain it as thoroughly as we can. Kilmeade: I always want to learn more, get different perspectives, and get out and about more. I want to get out in the field more. Definitely. What else should our readers know about Fox & Friends in 2019? Earhardt: I think we’re gearing up for the election, and we’re excited about that. It’s going to be a big year, and with all these Democrats jumping into the race it’s going to be fun to… “Here we go again!” I feel like we just had an election and we’re gearing up for the next one. It’s going to be an exciting time. Doocy: The last election was a lot of fun. On the Republican side, there were all of those people, and they all came to Fox & Friends via satellite and whatnot, and we hope everyone who runs on the Democrat side comes on Fox & Friends. So the invites are out to all the candidates? Doocy: We call everyone every day. Because, in 2016 there were some Republicans who we really had to dig deep to get them to come on the show. And they didn’t for a while for whatever reason. But eventually, they came on. Earhardt: It’s smart for them to come on because we have a lot of independents who watch our show who haven’t made up their minds yet and are more in the middle. So, I highly encourage all the candidates to come on. Doocy: I think there was a Pew survey a while back which showed that when you look at the number of Democrats and Independents combined, more of them watch Fox News than Republicans. So yes, they should come on.